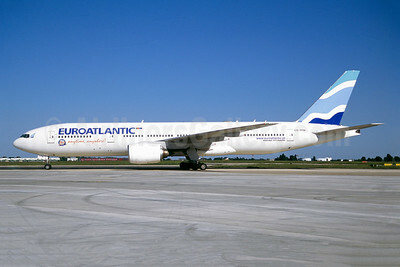 (formerly Air Madeira/Air Zarco) (YU/MMZ) (Lisbon) 2000 - Current. Photos. Framable Color Prints and Posters. Digital Sharp Images. Aviation Gifts. Slide Shows. 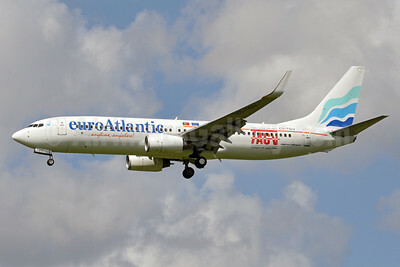 EuroAtlantic Airways-TACV Boeing 737-8K2 WL CS-TQU (msn 30646) AMS (Tony Storck). Image: 913529. 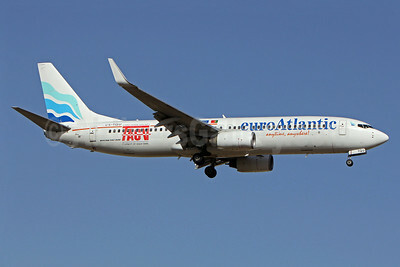 EuroAtlantic Airways-TACV Boeing 737-8K2 WL CS-TQU (msn 30646) LIS (Pedro Baptista). Image: 908697. 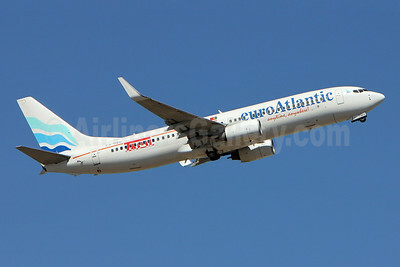 EuroAtlantic Airways-TACV Boeing 737-8K2 WL CS-TQU (msn 30646) LIS (Pedro Baptista). Image: 913528. 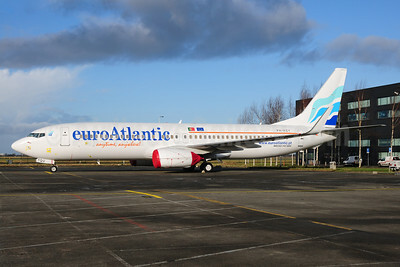 EuroAtlantic Airways Boeing 737-8K2 WL PH-HZY (CS-TQU) (msn 30646) AMS (Ton Jochems). Image: 907390. 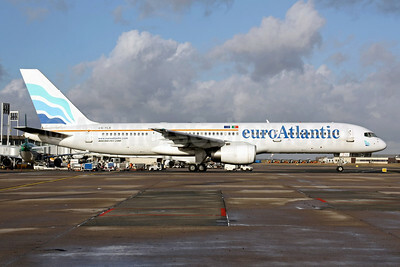 EuroAtlantic Airways Boeing 757-2G5 CS-TFK (msn 23983) LGW (Antony J. Best). Image: 902077. 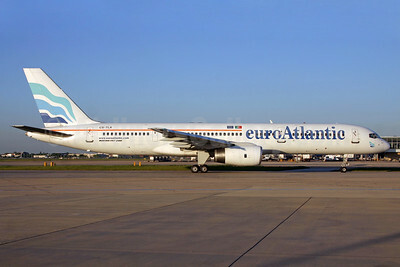 EuroAtlantic Airways Boeing 757-2G5 CS-TLX (msn 24176) CDG (Christian Volpati). Image: 901475. 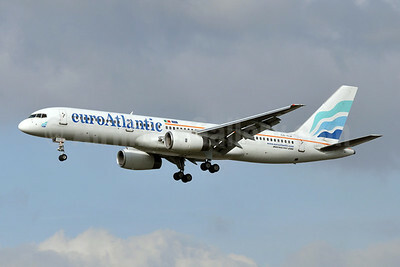 EuroAtlantic Airways Boeing 757-2G5 CS-TLX (msn 24176) LHR (Karl Cornil). Image: 908259. 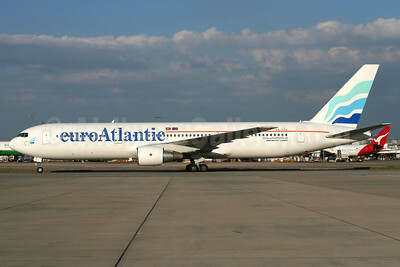 EuroAtlantic Airways Boeing 757-2G5 CS-TLX (msn 24176) LHR (SPA). Image: 933293. 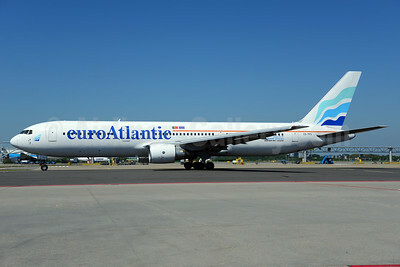 EuroAtlantic Airways Boeing 767-3Y0 ER CS-TFS (msn 25411) AMS (Ton Jochems). Image: 913527. 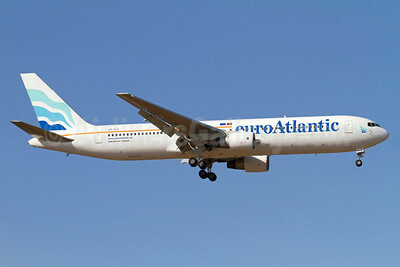 EuroAtlantic Airways Boeing 767-3Y0 ER CS-TFS (msn 25411) ARN (Stefan Sjogren). Image: 922580. 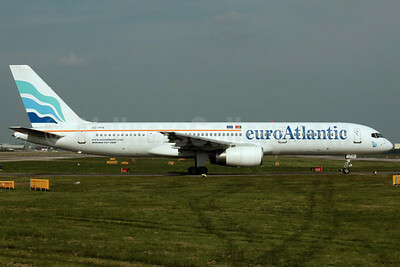 EuroAtlantic Airways Boeing 767-3Y0 ER CS-TFS (msn 25411) LHR (Wingnut). Image: 908260. 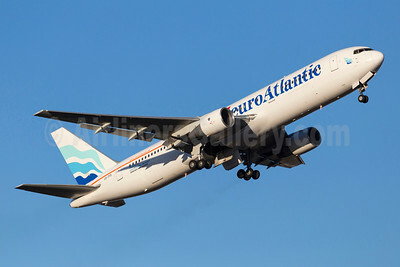 EuroAtlantic Airways Boeing 767-3Y0 ER CS-TFS (msn 25411) YYZ (TMK Photography). Image: 924171. 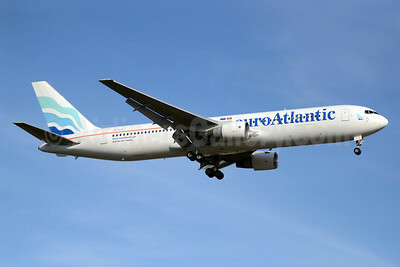 EuroAtlantic Airways Boeing 767-34P ER CS-TSU (msn 33048) OPO (Ton Jochems). Image: 946050. 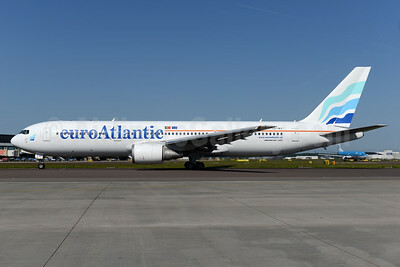 EuroAtlantic Airways Boeing 767-36N ER CS-TKT (msn 30853) AMS (Ton Jochems). Image: 933259. 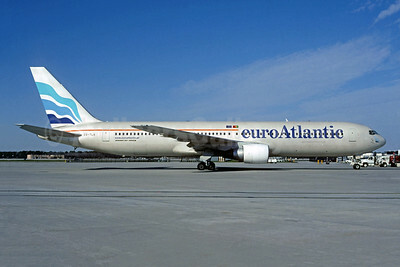 EuroAtlantic Airways Boeing 767-383 ER CS-TLO (msn 24318) (Christian Volpati Collection). Image: 941973. 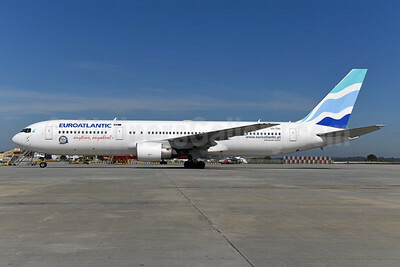 EuroAtlantic Airways Boeing 767-383 ER CS-TLO (msn 24318) AGP (Stefan Sjogren). Image: 913531. 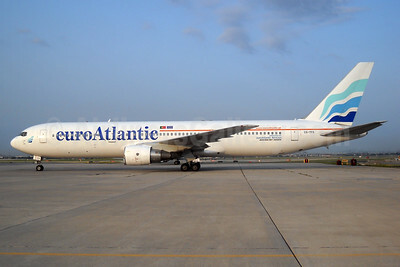 EuroAtlantic Airways Boeing 767-383 ER CS-TLO (msn 24318) YYZ (TMK Photography). Image: 913530. 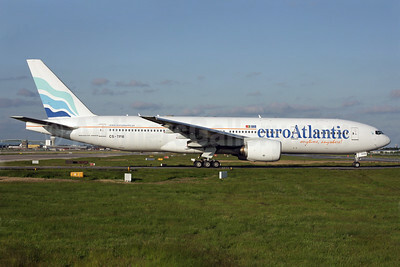 EuroAtlantic Airways Boeing 777-212 ER CS-TFM (msn 28513) (20 Years - 1993-2013) ARN (Stefan Sjogren). Image: 924437. 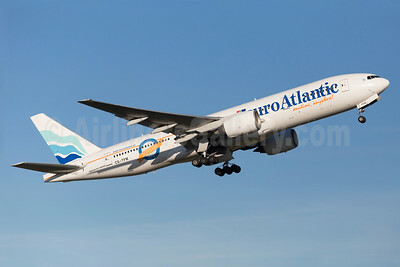 EuroAtlantic Airways Boeing 777-212 ER CS-TFM (msn 28513) (20 Years - 1993-2013) LIS (Pedro Baptista). Image: 921782. EuroAtlantic Airways Boeing 777-212 ER CS-TFM (msn 28513) LGW (Antony J. Best). Image: 913533. 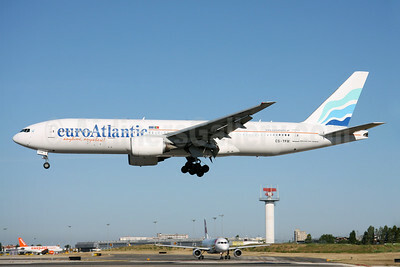 EuroAtlantic Airways Boeing 777-212 ER CS-TFM (msn 28513) LIS (Rui Silva). Image: 908706. 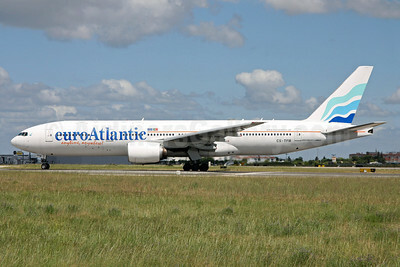 EuroAtlantic Airways Boeing 777-212 ER CS-TFM (msn 28513) LIS (Rui Silva). Image: 908707. 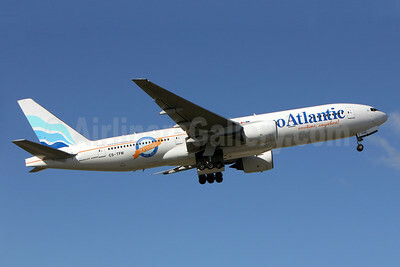 EuroAtlantic Airways Boeing 777-212 ER CS-TFM (msn 28513) ORY (Jacques Guillem). Image: 941974. 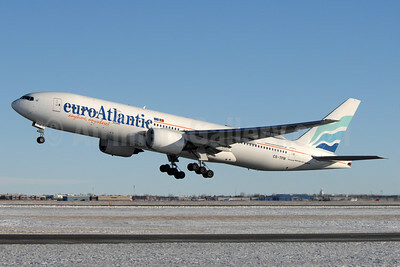 EuroAtlantic Airways Boeing 777-212 ER CS-TFM (msn 28513) YYC (Chris Sands). Image: 933294.